The chilling tale of Damien, the son of Satan whose birth was prophesied in the Book of Revelations, began with "The Omen" and continues in this second compelling installment of The Omen trilogy. Seven years have passed since Damien narrowly escaped death at the hands of his own father. Now, he is 13 years old and lives with his uncle Richard Thorn (William Holden), his aunt (Lee Grant) and cousin Mark. 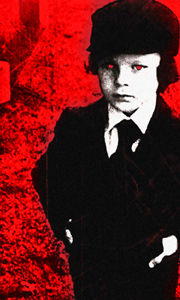 As Damien discovers his powers an..
Briskly paced and breathtakingly evil, the Omen is the first film in on the most chilling horror series of all time. When Kathy Thorn (Lee Remick) gives birth to a still born baby, her husband Robart (Gregory Peck) substitutes an orphaned infant for their own, unaware of the child’s satanic origins. Special Features Audio Commentary By Director Richard Donner & Writer/Director Brian Helgeland, Introduction By Director Richard Donner, D..
Own The Omen DVD from Deff, DVD, Blu-Ray & 4K Video Specialists - Free UK Delivery.. In this chilling remake of The Omen - that is even more terrifying than the original, man's darkest fears are manifested as an unspeakable terror is unleashed on the world! U.S. diplomat Robert Thorn (Liev Schreiber) substitutes an orphan for his own stillborn baby in order to spare his unknowing wife (Julia Stiles). But after a series of grotesque murders and dire warnings, the Thorns come to the horrifying realization that their child.. Experience the pinnacle of horror with The Omen Pentology, featuring all four original films, as well as the 2006 contemporary remake that had audiences screaming in their seats! Packed with hours of chilling extras, this 6-disc set includes The Omen that started it all (in a new 2-disc special edition), Damien: Omen II, in which Damien discovers his destiny, The Omen III: The Final Conflict, in which he realises his full power, and The.. Experience the ultimate in horror with three frightening films form the legendary Omen series- together on Blu-Ray for the first time ever. This chilling 3-disc set includes The Omen that started it all, plus Damien: Omen II, in which Damien discovers his destiny, and Omen III: The final conflict., in which he realizes his full power. Loaded with gripping thrills, nonstop excitement and in-depth special features, this incredible Blu-Ray.. The Omen He was born at 6am on the 6th day of the 6th month. The coming of Armageddon, the site of the final confrontation between the forces of good and evil, as foretold in the Book of Revelations, will begin with the birth of the son of Satan - in human form. Unable to tell his wife Katherine (Lee Remick) the tragic news of their stillborn son, American diplomat Robert Thorn (Gregory Peck) accepts a newborn orphan as his son. Details..